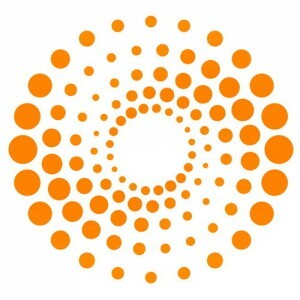 Known internally as “Reuters Next,” the new reuters.com will be a “state of the art” offering with a redesigned front-end and a proprietary content management system built from scratch, said our sources, who described the site as being remodeled into editor-curated, stream-based channels such as world news, politics, business and tech. Content management systems are undergoing a social technology upgrade cycle that is not talked about very much but has two significant consequences that individually are disruptive and together are utterly transformative. The first of these disruptions is how social content, which is just another way of saying user generated content, becomes an input into a website’s CMS in the same way that company sponsored content is enabled. In the advertising world there is a well understood concept of earned, owned, and sponsored media; the earned media being the most valuable because it is inspired rather than paid for and as such has broad utility in a company’s marketing efforts. In the social technology world getting people to create content about you, in the form of original source content (e.g. blogs) and interaction content (comments, shares, likes) but mainstream content systems that power websites have few capabilities for doing more than appending this to “owned” content. The second major theme I want to highlight is the notion of company vs. community curated content. Having an editorial agenda in a website that is enabled by your employees is a no-brainer, but it ultimately proves to be a challenging scale problem because, in many cases, the most interesting content about your company and products isn’t created by you. As a result of this the curation capability relies on smart people who are good at discovering and organizing content, but increasingly mainstream is the notion of crowdsourced content and externally curated content sourced from your fans and followers… but none of this is integrate with the typical CMS that a company will rely on for a web experience. The challenge that is facing companies, large and small alike, is how do they capture externally sourced and curated content, organize it in the structure of their website, and then providing a social experience in the presentation that takes into account the activities of your brand advocates. Yeah, it’s a big challenge and in the absence of a next generation of CMS capabilities it is unlikely that we will get there. One of the most profound benefits of a “social intranet” is the exposing and discoverability of 1000’s of “small solutions”. Every time someone interrupts a co-worker to say “Where can I find…” or “How do I…”, can translate well to a socially connected workforce where answers can come back immediately, rated, saved, repurposed, questions can find expertise for you, answers can predict your needs and find you based on past behaviors. The combination of social and effective use of metadata is transforming knowledge sharing. the metadata is particularly important because unstructured content becomes less discoverable as the quantity increases.